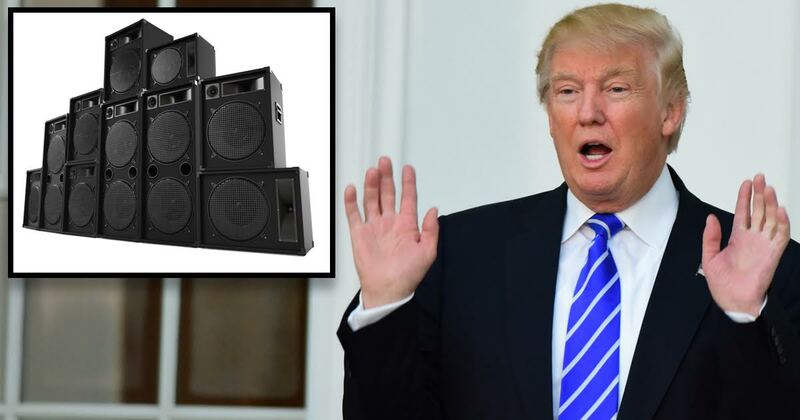 WASHINGTON — With only hours to go before tonight’s show, organizers confirmed President Donald J. Trump has so far failed to acquire an adequately loud PA for tonight’s show at the Gauntlet, a high-profile basement venue. Further embarrassing the administration, President Trump allegedly promised to provide a “huge PA” multiple times in public forums. Critics pointed to eight separate comments from Trump on the show’s Facebook event, along with six different pictures of a monstrous PA on the White House Twitter feed. Snopes, a fact-checking organization, has reported the pictures tweeted by Trump were merely screen caps from the Guitar Center website. One fan outside the venue said he was unsurprised by Trump’s inability to produce the promised PA.